All Island Fence & Railing has over 25 years experience. Our goal was and still is to be Long Island’s full service fence & railing company for residential and commercial work. We wanted to provide our customers with the best quality products, the best price, and at the same time provide an excellent customer service experience from start to finish. We offer a complete line of high quality fence and railing systems, in both traditional and unique styles. 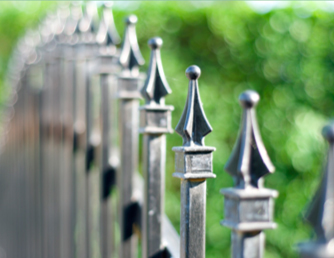 Our full line of products include P.V.C, vinyl, wood, rockwall, chain-link, ornamental steel, aluminum fences, railings and automated gates for residential, commercial and industrial applications. We sell & service all types of fence and railing installations, along with over-the-counter materials. For Do-It-Yourselfers – we will help you design & layout your fence/railing project to make for an easy & affordable experience, with impressive results. Contractors – Please come on in to our showroom 659 Grand Blvd, Deer Park, NY 11729 and place your orders. We look forward to doing business with you and helping you have a successful season.